Travelers might think their credit card will cover them on a trip to the same extent as travel insurance, but, in many cases, this isn’t true. Many credit cards that include some travel protection features often provide coverage for fewer events and tend to offer lower benefit limits than travel insurance. 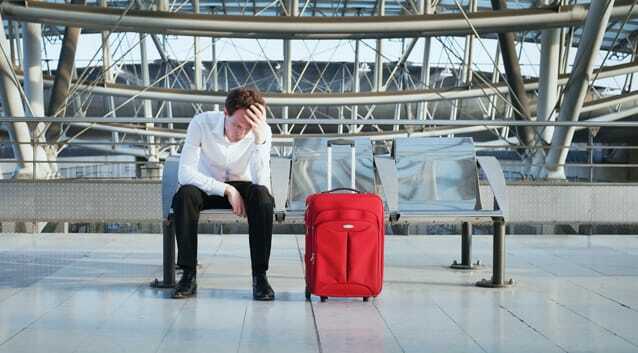 Here's the rundown why credit cards are not enough for travelers, especially when it comes to coverage for trip cancellation, medical and evacuation coverages, pre-existing medical conditions, limits and covering other travelers on the same trip. According to Cardrates.com, "only about 15 percent of credit cards offer travel cancellation insurance." Most trip cancellation or interruption protection offered by credit cards is limited to a handful of reasons such as illness, injury or death. Our travel insurance plans cover around 20 different events that could cause travelers to cancel their travel plans, including job loss, school year extension, terrorism or jury duty. Credit cards often don’t have the same level of coverage as travel insurance for medical expenses or emergency medical transportation while traveling—which can be costly if travelers don't have the right coverage. According to the Centers for Disease Control and Prevention, medical evacuations by air ambulance can cost $50,000-$100,000. If travelers are concerned about coverage for pre-existing medical conditions, they shouldn’t count on their credit card. Our Premium plan includes coverage for pre-existing conditions as long as certain requirements are met. In order to qualify for coverage for pre-existing medical conditions, the plan must be bought prior to or within 24 hours of the final trip payment, travelers must be medically able to travel at the time the plan is purchased and all prepaid trip costs that are subject to cancellation penalties or restrictions must be insured. Many cards cap their benefit limits, especially for trip cancellation coverage, at lower amounts than Generali travel insurance plans. Credit cards are likely to only cover the cardholder, while our plans allow for up to 10 people to be listed on a plan. While planning their next vacation, travelers should consider these tips before crossing off travel insurance from their to-do list. If they have credit cards with travel protection, then they should contact their credit card provider to find out the exact terms and conditions. Remember it's likely that only purchases made with the credit card will be eligible for coverage. If travelers paid another way, check or cash for example, then they would probably not be covered by the credit card. Travelers who determine that credit cards aren’t enough should consider purchasing travel insurance from a reputable provider such as Generali Global Assistance. May they have travel insurance, but never have to use it because their vacation was smooth sailing. Also read: How Much Does Travel Insurance Cost?